Hi everyone! Not every Valentine's Day card has to feature lots of hearts. Sometimes just expressing your love is enough! 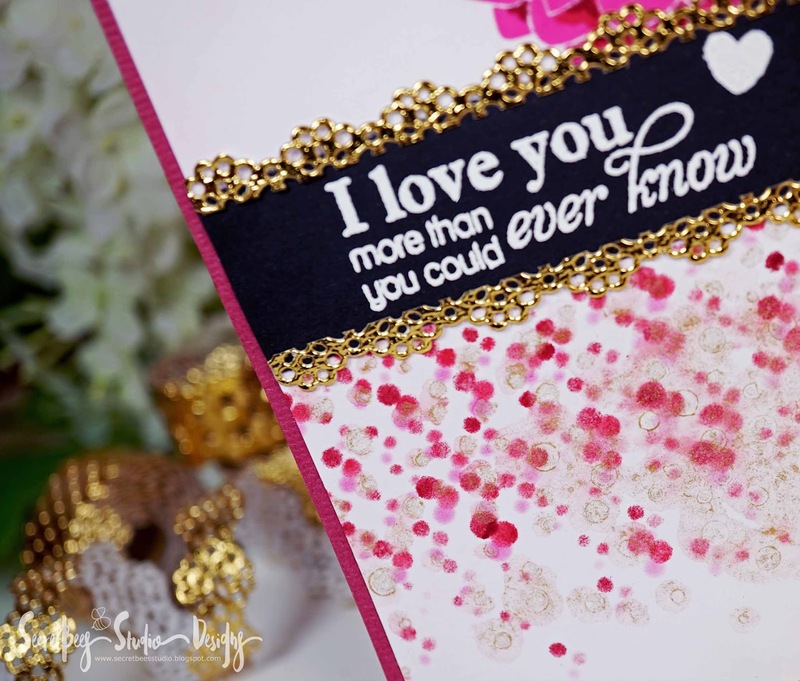 This card does exactly that with a big, gorgeous bloom and pretty gold accents! 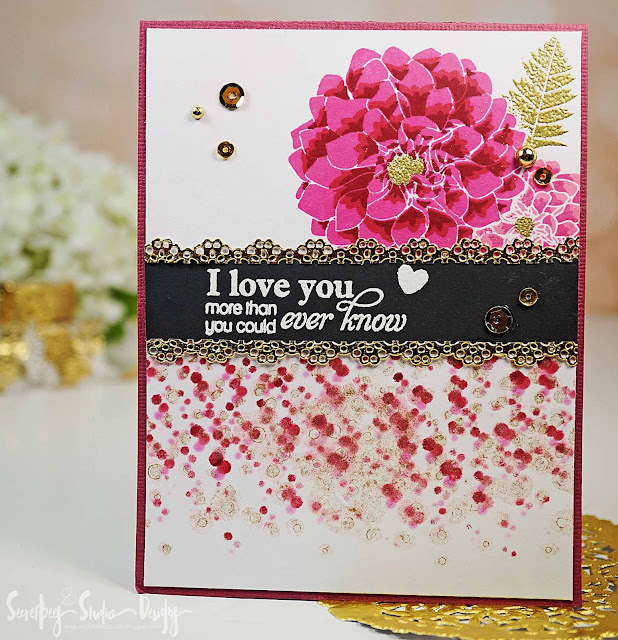 This dahlia stamp set by Papertrey Ink is one of my most favorite ever and I never get tired of creating with it. For this card I let one large dahlia take center stage and stamped it in deep fuchsia hues using all of the layers. A smaller bloom is stamped in the background in lighter shades of pink. I gave each flower a gold center and added in a shiny gold leaf. 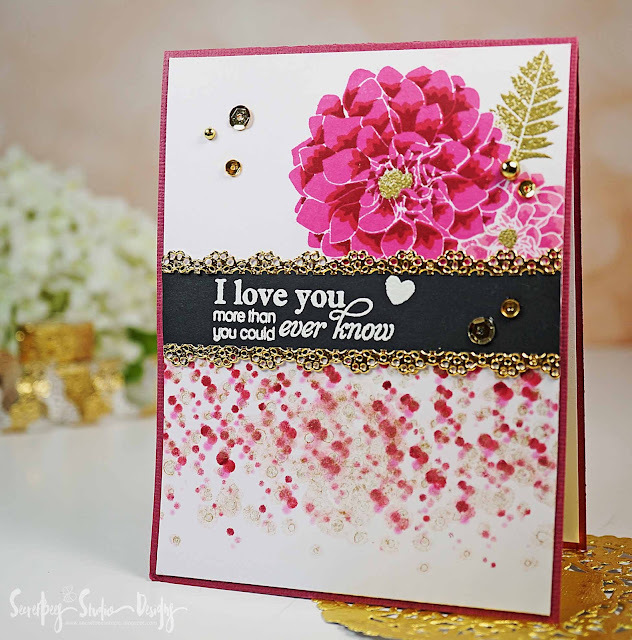 For the confetti bottom, I used a stencil to ink in varying shades of fuchsia moving the stencil a bit each time. Lastly, the gold was added in with the same stencil using a gold mist. I wanted the sentiment to stand out so I embossed it in bright white against a black background and added pretty scalloped gold edging. For even more shine and sparkle, I added in a few gold gems and sequins! Love your work. Like you, I really like this dalia. So bright and beautiful. Lovely design below your sentiment too.